Over the past few weeks, we have examined the primary sources of state and local tax revenue and the extent to which states rely on each tax type. Today’s map looks at the corporate income tax, which, compared to property, sales, and individual income taxes, generates a relatively small share of state and local tax revenue. In fiscal year 2015, the most recent year for which data is available, the corporate income tax generated only 3.7 percent of total state and local tax revenue nationwide (see Facts and Figures table 8). Of all states, New Hampshire relies most heavily on corporate income tax revenue, which accounts for 9.3 percent of the state’s total state and local tax collections. 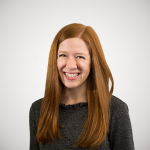 New Hampshire’s decision not to collect sales tax or levy an individual wage income tax contributes to heavier reliance on the corporate income tax. Second most reliant is Delaware, where the corporate income tax generates 9 percent of state and local tax revenue. Like New Hampshire, Delaware lacks a sales tax. The third most reliant state is Alaska, with corporate income taxes accounting for 8.8 percent of total collections. Alaska levies neither an individual income tax nor a statewide sales tax, though localities have the option of taxing sales. Six states do not levy a corporate income tax: Nevada, Ohio, South Dakota, Texas, Washington, and Wyoming. However, among these states, Nevada, Ohio, Texas, and Washington instead levy a harmful gross receipts tax on businesses. 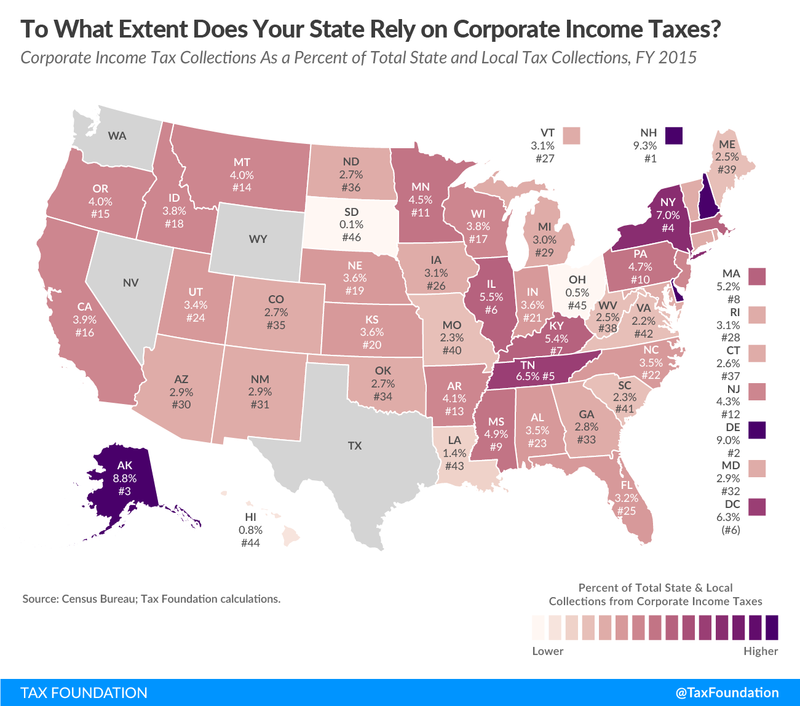 On the map above, several states with no corporate income tax will appear to have a small percentage of corporate income tax revenue due to income taxes levied on special corporation types, such as financial institutions. Corporate income tax revenue, on average, accounts for such a small share of state and local tax collections in part because businesses have shifted from the traditional C corporation structure. Today, nine out of 10 businesses in the U.S. are structured as pass-through entities (partnerships, S corporations, and sole proprietorships), which are not subject to the corporate income tax. Instead, these businesses “pass” their income “through” to their owners, and business income is reported on owners’ personal tax returns and subject to individual income tax rates. It is important to remember that just as the personal income tax is only one of many taxes an individual might pay, so is the corporate income tax only one of many taxes a business might pay. Franchise taxes, property taxes, sales taxes, and excise taxes are among the other types of tax liabilities businesses might incur in the course of doing business. A landmark study by the Organisation for Economic Co-operation and Development (OECD) found the corporate income tax to be particularly harmful to economic growth. Also, economic downturns or fluctuations in the business cycle may cause a business to experience periods of unprofitability, therefore owing no corporate income tax liability in such years. This cyclical nature of corporate profits means corporate tax collections become one of the most volatile sources of state revenue. In an attempt to make up for some of the harmful effects of corporate income taxes, states have been known to offer tax incentive packages to attract (or keep) businesses in their state. This, however, can result in lower tax liability for certain businesses and industries, which makes the tax code less neutral while shrinking the tax base. The volatility of corporate income tax revenue, as well as its narrowing base, has contributed to states’ decisions to reduce reliance on this revenue source over time.